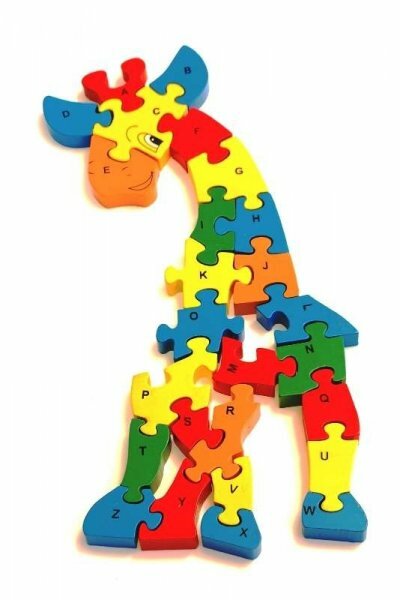 An ideal first jigsaw for young children. 26 jigsaw pieces, each piece marked with a different letter of the alphabet. Approximate size 31cm x 26cm.